120 V, 1.5 KW, 13 AMP HEATER HELPS MAINTAIN BATH WATER TEMPERATURE WHILE BATHING. HAS AUTOMATIC RESET. REQUIRES G.F.I. This is a 1.5 KW, 12 volt, 12.5 A heater which requires a dedicated a GFCI circuit. 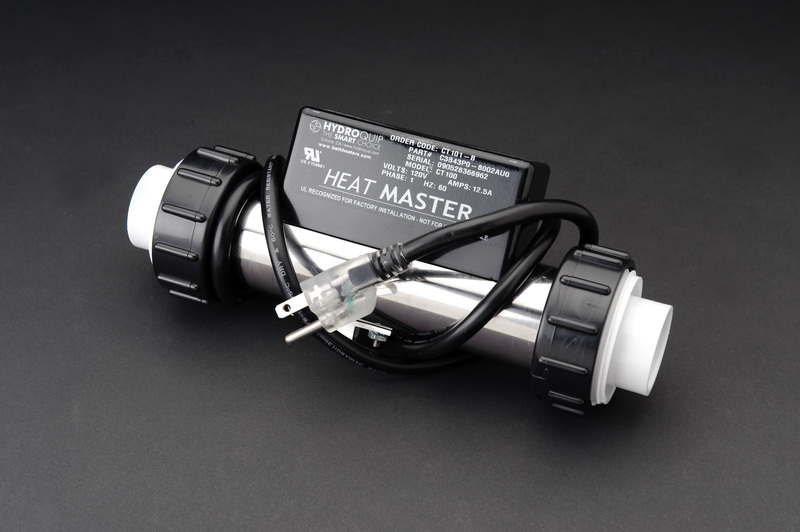 The heater maintains the water temperature and the ozonator provides an additional level of sanitation. Devices that claim to produce heat keeping the bathwater hot by friction have no scientific testing to verify that false claim. Click here for more Info.